The sight of a building badly dented by the right wingtip of an Airbus A380 as the aircraft taxied at Le Bourget Airport ahead of the 2011 Paris Air Show emphasized the challenge posed by ground obstacles to pilots navigating around unfamiliar airports. 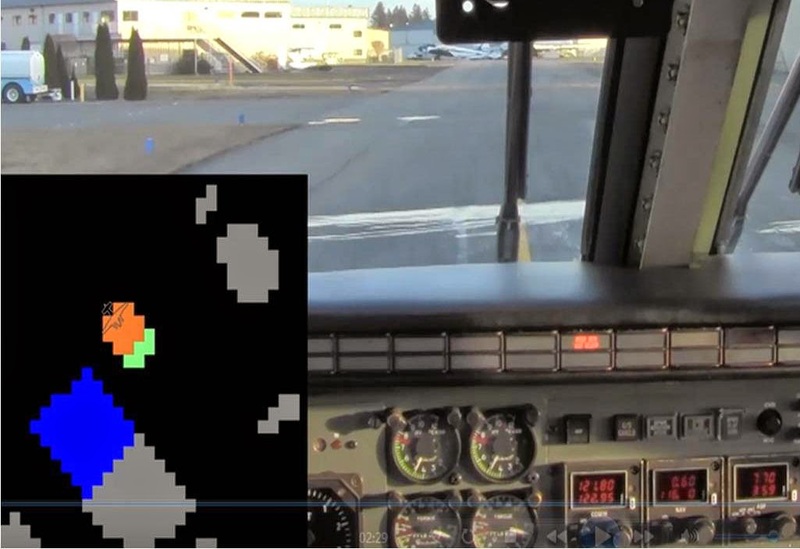 Honeywell Aerospace seeks to address the problem through an innovative adaptation of its enhanced ground proximity warning system (EGPWS). The new Passive Wingtip Protection System (PWPS), based on an upgrade to the EGPWS software, is now under development at the group’s facility in Redmond, Wash. In development since January 2014, the plug-and-play, GPS-driven obstacle detection system incorporates existing EGPWS terrain, obstacles and runway databases, and correlates that information with inputs from other aircraft systems. “Fundamentally, this is only a software change to the EGPWS, with no new wiring or additional equipment,” Champion added. The interface resembles that of Honeywell’s SmartRunway and Runway Awareness and Advisory System (RAAS), and uses similar crew notification methods. When approaching a fixed obstacle, the system sounds an aural warning (“Obstacle! Obstacle!”) advising the pilot to ascertain the situation, and take appropriate action to keep the wingtips clear of encroaching upon—or through—a fixed landmark such as a building or light pole. According to Honeywell, 90 percent of airliners in service today already use EGPWS. Its goal, said Champion, centers on maximimizing the potential safety return on implementing PWPS for a relative minimum of added cost and complexity. Although implementation will require gathering additional data on charted building locations at airports throughout the world, as well as offsets relative to movement areas on the airport surface, taxiway position data is already available through SmartRunway. Although Champion would not offer a precise time frame towards possible certification of PWPS, he project’s rapid development cycle might demonstrate its feasibility. Over five months, testing had already progressed through the simulator environment, with the system now fitted to a flying testbed for real-world data gathering and system modification.